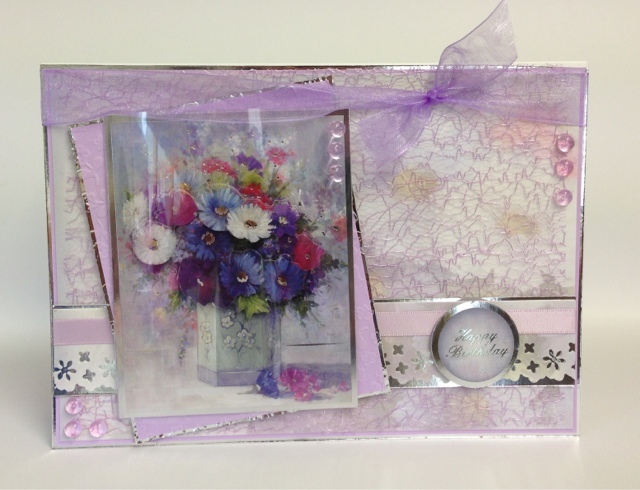 Crafting With Craig: Hunkydory & Tonic DT card. Bouquet for you topper sheet. 10mm lilac satin ribbon - American Crafts. 20mm lilac satin ribbon - American crafts.